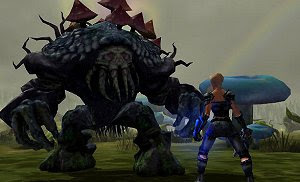 Juggernaut is a next generation free browser MMO game that features the best aspects of the genre, while offering players a new quality standard. The amazing 3D graphics will leave you impressed, and all this running in a browser window. The vast world of Juggernaut is a dangerous and captivating one, with death-defying missions, distinct professions, unique characters and monsters and much more. Join battles with thousands of players and show your combat skills, help your faction claim territory and share the treasures and glory. Your amazing moves and abilities will be vital in the action packed battles.